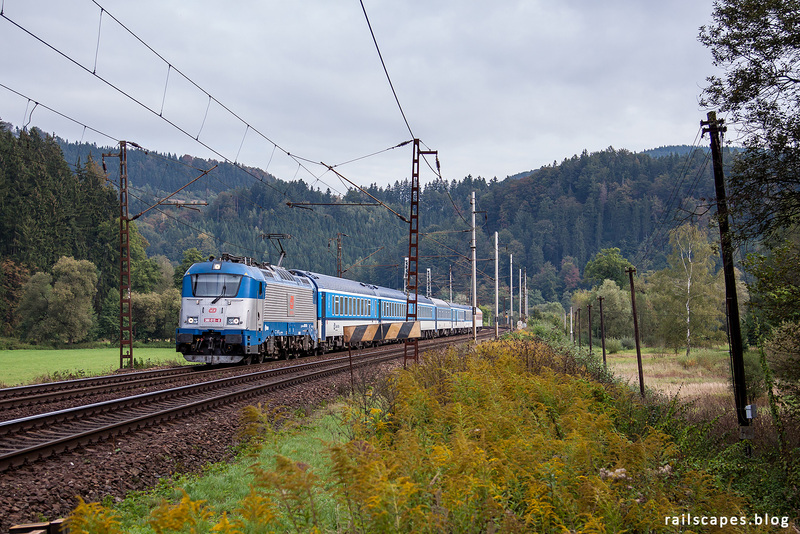 One of the most recent Skoda electrics hauls an international train from Prague to Zilina through the curves around Bezpravi. Most of the trains here are loco-hauled – very interesting for us railfans. Only exception I saw were the Leo-express Flirt trains, but those are actually quite nice to look at.